On my way to India I stopped in Oxford, England to visit Prabh. On one of our walks around the cute little city we went into the Oxford University Press where I purchased 3 Oxford University Press paperback books. They are great little books that summarize various different topics/subjects. Since I was going to India I decided this book would be a great choice to read. 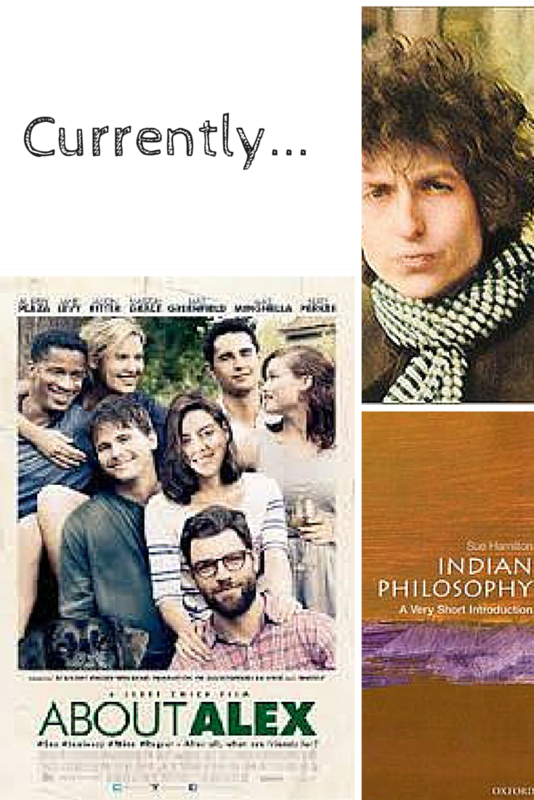 It's a quick introduction to Indian philosophy. Very straightforward and interesting read. Especially the effort put right at the beginning to discern the differences between western philosophy and Indian philosophy right off the bat. This is a classic album that I return to when I'm in a certain nostalgic or down mood. You see once I get into the bob dylan listening mood then all I can listen to is Bob Dylan. I just love the way the music, his voice and the lyrics just envelop you. There was just something about this movie, beginning to finish, that just really clicked with me. Maybe because I'm a millennial and in some sort of way could relate to the movie. Or I just love movies or stories of complex, interconnected relationships and feel good friendships (huge Dawson's Creek fan here!). I think it's one of those movies that you either really like or don't like at all. Great song! Never watched that movie... I can recommend a band i don't get sick of: Miracle! Listen to the song Mercury! It's awesome!